When is a Volvo XC90 more fuel efficient than a Mazda3? A trick question? Not really when looking at reimbursing business mileage. Business mileage reimbusement policy for company car users will vary from fleet to fleet, but many organisations decide the easiest way to avoid disputes is to use the AFR or advisory fuel rates. These are set by the government and reviewed quarterly, with graduated rates according to the type of engine and its size. So someone using a 2.5-litre car will be reimbursed at a higher rate than an employee in a 1.8-litre car. So far, so good. They are based, within a 15 per cent margin of the average official combined fuel consumption figure of a particular engine size, and the average price of fuel. 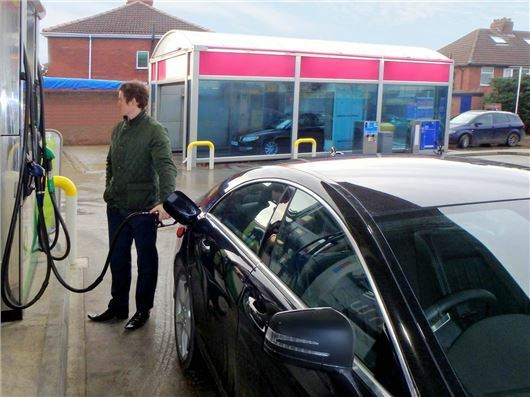 Many drivers with a particularly light foot might have been able to make a little profit out of this system, at the expense of their employers, if they are able to get close to their car’s official fuel consumption figure or even better it. Likewise, those who are least able of attaining their car’s official fuel consumption figures have been more likely to complain that the rates are too low. But while there has been a successful lobby in persuading HMRC to review the rates quarterly, to ensure they keep pace with average fuel prices, they seem to have ignored a revolution that has been occurring in engine technology – downsizing. And while this has been done on a broad scale to help achieve better fuel efficiency, there are still wide variations. As things stand, diesel cars with engines less than 1600cc all receive the same rate, with a higher rate for those between 1601 and 2000cc, and the highest rate for cars with engines above 2.0-litres. So is it fair, then, that an employee driving a Mazda3 2.2 diesel is entitled to a more generous level of reimbursement than someone in a new Volvo XC90 D5, which has a twin-turbo 2.0-litre diesel engine? It’s best practice for fleets to reimburse drivers for fuel used on business mileage rather than subject them to the vagaries of the AFR system, but at least the system has an incentive to encourage fuel efficient driving built in. Why would someone try to save fuel on a business journey when they know whe whole bill is on the company's tab? But fuel economy figures are under scrutiny at the moment, with a big review of the official test cycle and a new method likely to replace it in the next few years. If you are reimbursed by AFR, and as engine downsizing is now commonplace across the automotive industry, you need to choose your next company car carefully, as a major shake-up of the AFR system is unlikely until we get our new fuel economy test cycle.